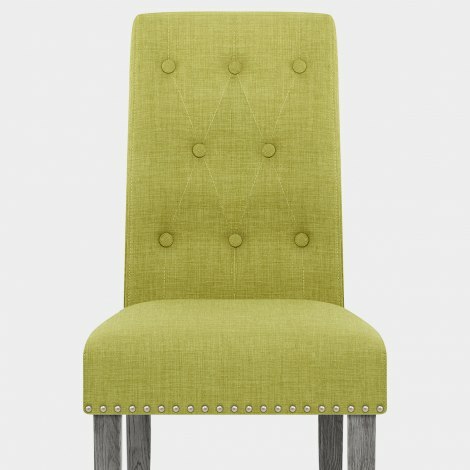 The Moreton Dining Chair Green Fabric takes a much-loved classic design and gives it a refreshing contemporary look. Showcasing traditional features and an innovative colour scheme, the Moreton Dining Chair is the perfect combination of old and new. 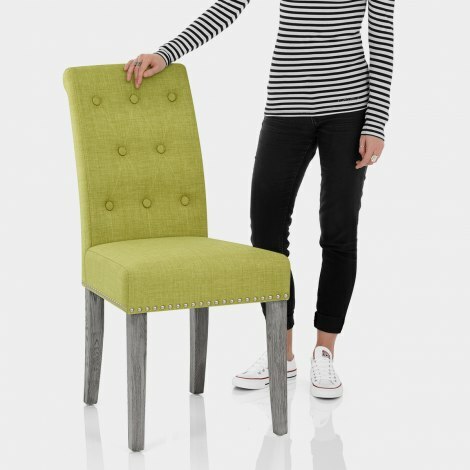 Designed with beautiful button detail, the tall back and seat are comfortably padded and have stunning green fabric upholstery. Metallic studs edge the seat and extend up the rear of the backrest, which has a traditional scroll top design. Stylishly supporting the seat, the four strong and solid wooden legs have a modern grey finish that updates this classic piece. Finally, each leg includes a rubber plug to help protect your floor surfaces.